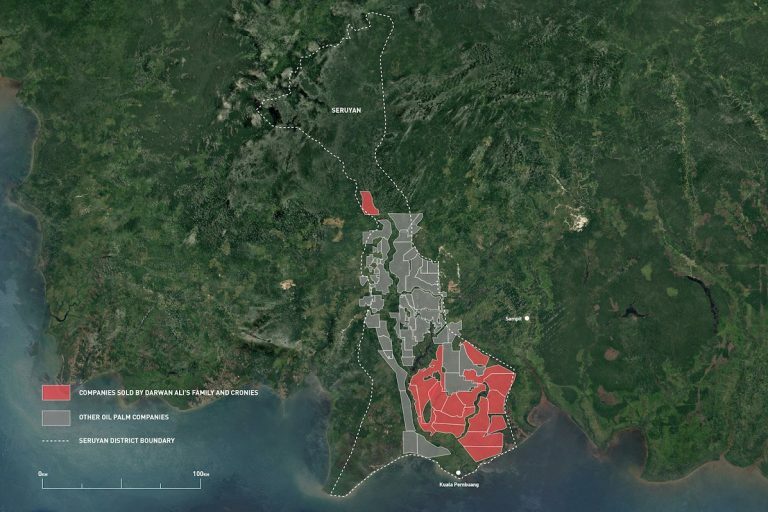 “The palm oil fiefdom” is an investigation by Mongabay and The Gecko Project, an initiative of the UK-based research house Earthsight. 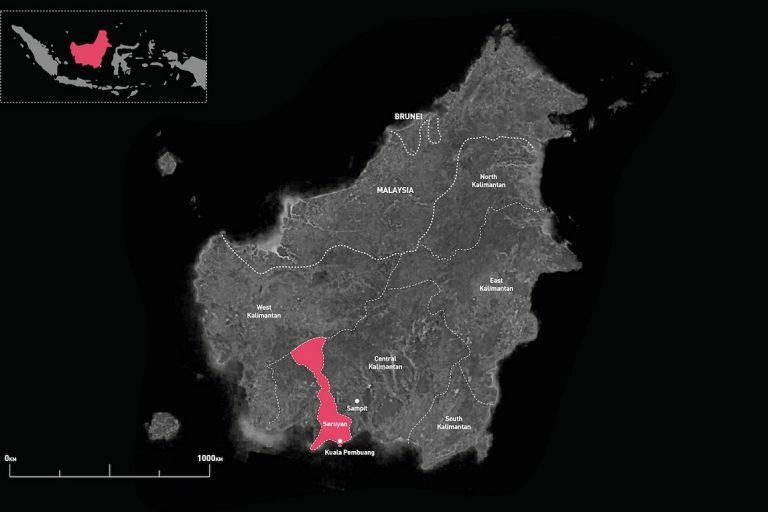 The article reveals how Darwan Ali, the former head of Indonesia’s Seruyan district, presided over an elaborate scheme to use shell companies as vehicles to sell plantation licenses to major palm oil firms. Short films produced in conjunction with the article feature some of those affected by Darwan’s licensing spree, including an Indonesian farmer named James Watt. We met James Watt in his home village of Bangkal during the reporting of “The palm oil fiefdom,” in early 2017. Bangkal lies on the banks of Sembuluh, a sprawling lake in the heart of Seruyan district, in Indonesian Borneo. A few decades ago, Seruyan was a sea of rainforest. During the dictatorship of Suharto, like many areas in Borneo, it was heavily impacted by logging that thinned out the forest and made the soil prone to burning. From the early 2000s, it was afflicted by a new and different problem: oil palm plantations. In the early years of Indonesia’s transition to democracy, during which district chiefs, known as bupatis, assumed new and wide-ranging powers, farmers like James hoped the investors who flooded into Seruyan would be made to work in partnership with them. In fact, they were explicitly told this would be the case. But in Seruyan, under the control of bupati Darwan Ali, the farmers were cut out of the deal. James Watt at Lake Sembuluh. Photo by Leo Plunkett for The Gecko Project. Our investigation into Darwan’s licensing spree was produced in collaboration with The Gecko Project. It shows how he presided over an elaborate scheme to use shell companies as vehicles to make money from palm oil firms. Eighteen companies were set up in the names of his relatives and cronies, before Darwan granted them each a license to establish a plantation the size of a small city. After that, the shell companies were quickly sold to Wilmar International and Triputra Agro Persada, conglomerates owned by oligarch families from Indonesia and Malaysia. Indonesia’s Seruyan district on the island of Borneo. Licenses issued to companies owned by Darwan Ali’s family and cronies threatened to turn the southern reaches of Seruyan into one vast oil palm plantation. While the two firms appear to have been perfectly aware of the shell companies’ connection to the bupati — documents show Triputra’s billionaire CEO met Darwan’s son in person to consummate a deal for one of them — it is not necessarily illegal in Indonesia to give a permit to a company owned by your relative. The nation’s antigraft commission never filed charges against Darwan, although Seruyan residents reported him to the agency multiple times. James was at the vanguard of a backlash against Darwan Ali. He told us how he helped organize a mass protest against his administration in 2011, and then campaigned against Darwan’s son Ruswandi when he attempted to replace his father as bupati in 2013. Although Ruswandi was backed by every political party with a presence in the district, he became the first person to lose a race for bupati to an independent candidate in the history of the province. This year, however, the family is back for more, with Darwan’s daughter Iswanti having announced her own candidacy to lead Seruyan in the election to be held in June. Political parties are already lining up behind her. Watch our short film about James Watt, below, to find out more. And then read our investigation into Darwan’s licensing practices, in English or Bahasa Indonesia. “The palm oil fiefdom” is the first installment of Indonesia for Sale, a series about the corruption behind Indonesia’s deforestation and land-rights crisis. 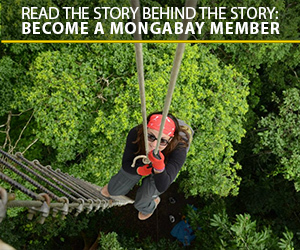 The series is produced under a collaboration between Mongabay and The Gecko Project, an investigative reporting initiative established by the UK-based nonprofit Earthsight.